Impact/results: How it makes my lashes look. I want to make those babies pop! Wear: It's important that holds up throughout the day ; holding a curl and no flakes are key. Removal: I shy away from waterproof like nobody's business. I hate working hard to remove eye makeup. Also, I'm about as talented to apply mascara as I am at painting my nails. Girlfriend gets it EVERYWHERE. If I can't easily wipe off my mistakes with a Q-Tip (once the mascara is dry on the skin), I'm not a fan. Impact: 4.5/5 it really lengthens, separates and give volume to your lashes. Bold enough for me! Side note: it can get a little clumpy if you're not careful! Wear: 5/5 I didn't notice any fallout and it didn't seem to weigh down my lashes, holds a curl! Removal: 3.5/5 Since this formula is especially wet, it's even easier to have "oopsies" while applying, it was not the easiest to fix. It sorta smeared and created subtle black smudges. I had to touch up my eyeshadow a bit after, but if you're a pro, don't worry about it. When it came time to take it off, I actually wondered for a second if I got the waterproof by mistake. I hadn't, so it was still a bit easier to remove, just use a really good oil based remover and work work work! Final score: 4.3/5 Love the drama! Impact: 4/5 I'm really impressed with this one since I usually have no luck with Rimmel mascaras. It just glides on and lengthens and separates your lashes without clumps. As you can see, it really does give A LOT of length all while looking natural! However it doesn't add much volume, I prefer my lashes to look fuller than this but this a great everyday mascara or for softer eye looks. I really love the formula. Wear: 3.5/5 Again I didn't have any problems with fallout but it didn't seem to hold the curl as well as I wished. Removal: 5/5 You can clearly see in the pictures above the mess I created with this one. This was easily fixed when I passed a Q-tip over it. When it came time to remove it my Boscia Makeup Breakup Cool Cleansing Oil took care of it no problem! Final score: 4.2/5 Amazing length, color me impressed! Impact: 4/5 I've always loved the Lashblast mascaras and I guess I was expecting more from this? It does lenghten and add volume but it's still very natural and clump free. I do really like it, it's just not as bold as others in the same line even! Again, it's still great for everyday. Wear: 3/5 I didn't notice any fallout but I did get some smudging action under the outer corner of my eye after a few hours. It does a decent job at holding a curl, but could be better. Removal: 5/5 This formula is a bit more dry than the others so mistake clean up is the easiest. It also comes off easily with makeup remover/cleanser at the end of the day. Final score: 4/5 Not too shaby! Overall, I guess it's pretty clear my favorite one is the Maybelline Lash Sensational. It's just a great formula and I love that rubbery brush (the bristles have different lenghts on each side and I like that it's curved, really gets all your lashes). While usually wet formulas tend to weigh down my lashes, this one did the best job at holding a curl. Could also be the fact that it was the hardest to remove...A very resistant mascara that gives you lots of drama! If that's what you're looking for go for it! If not, maybe the descriptions of the others might be more appealing to you...Again, everyone's lashes are different! Hope this was helpful! 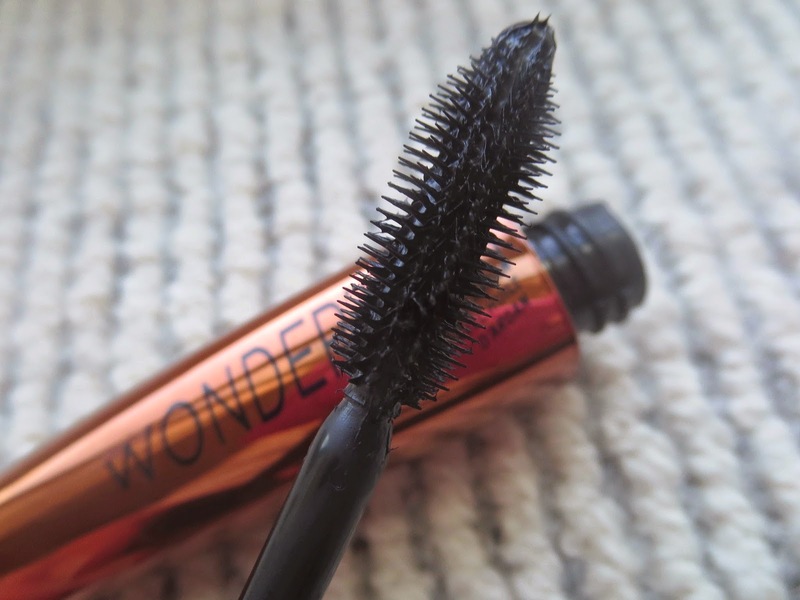 Do you have any favorite drugstore mascaras?